Are you excited with your new purchase but just cannot get it home? Do not worry, Marshall Installs have it covered. 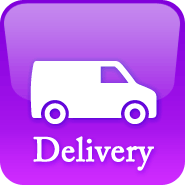 Just let us know where to collect your goods and we will deliver to your address at an agreed time. Plus, we will carry them inside and not just leave your valuables on the doorstep.